My lil' man playing in the mud puddles. 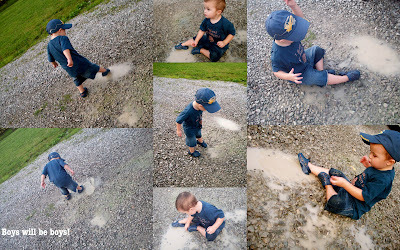 We have had so much rain/storms lately Kolton is going crazy cooped up inside all day so we decided to have some fun playing in the puddles. He just loved it.